Projectors are pretty great, right? After all, can you imagine how much a 100” TV would cost? The only issue is that often, projectors are still outright large. This prevents you from taking it on the road with you, which kind of defeats the purpose of having a display that can be projected anywhere you like. No need to worry, though: there are many smaller models to choose from. 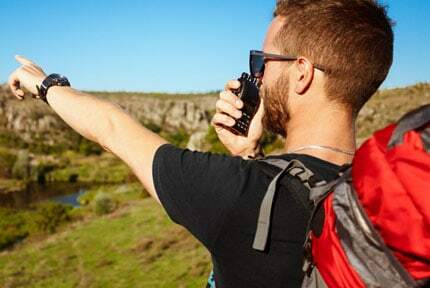 These portable projectors offer comparable quality while being far easier to throw in a backpack. 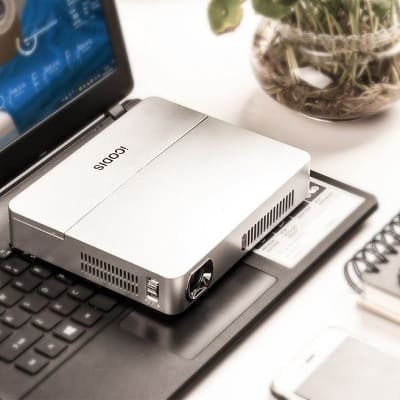 We’ve found the best portable projectors on the market so you can spend less time researching and more time watching the titles you love. Before we begin, we’d like to take a minute to talk about projectors in general. 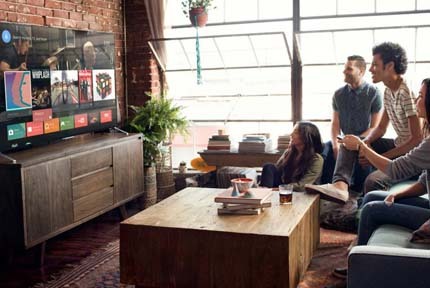 With a TV, you just plug it in, connect your device, and are ready to go. However, projectors require a little more configuration. Relax! We’ll explain what you need to do, and some things to consider before making a purchase. Usually, projectionists have a dedicated screen but since portable models are designed to move from place to place, this isn’t always feasible. 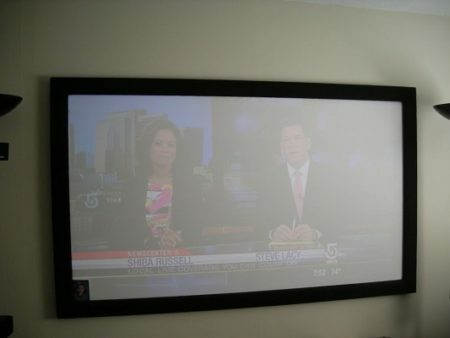 Instead, simply find a blank wall and move the projector closer or further away until you get the right display size. It’s worth noting that the larger the image, the more work the bulb has to do. Effectively, this means you can have a massive projection, but the colors might be washed out. For best results, try to project in the darkest room possible and aim for a display of about 60” or so. There are two commonly seen types of projectors. The first is called Digital Light Processing (DLP). Essentially, these reflect light off of mirrors in order to project an image. 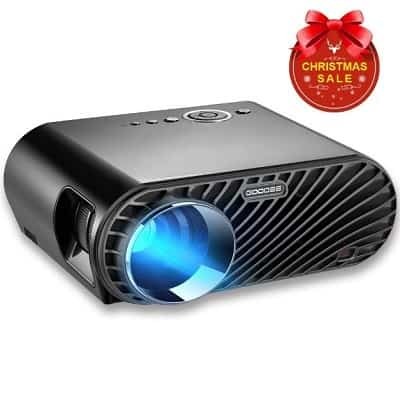 While DLP projectors are usually fairly inexpensive, they usually have lower resolutions than LCD projectors and don’t work as well in bright situations. In contrast, LCD projectors work in a similar way to a TV. They shine light through different colored lenses in order to achieve the right blend. LCD projectors can develop dead pixels, though, and while they tend to have good contrast, image quality can deteriorate over time. The strength of a projector bulb is measured in Lumens. Basically, the more Lumens a projector has, the brighter the image. This means that a more powerful projector bulb can create larger displays at longer distances without suffering as much image distortion. It’s also worth noting that the bulb will have to work harder if you’re projecting with the lights on. The image above shows what happens when a weak bulb meets a bright room – not great, right? Well luckily, there’s an easy fix – just turn the lights off! The good news is that darkness increases immersion. It’s not only better for your hardware to turn off the lights, it’s better for your audience too. When most people think “projector”, they also think “expensive”. Fortunately, however, there are actually many wallet-friendly models available. The products below are all available for under 70 USD and you can rest assured that they’re the best of the best in their price bracket. 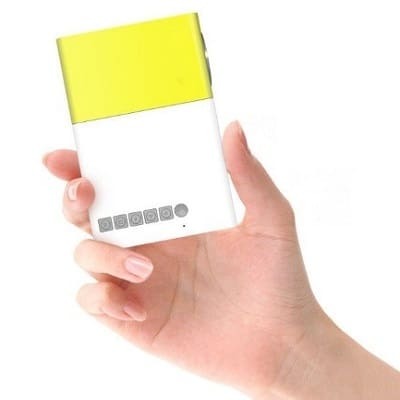 First off, we have the Deeplee A1 DP300, a bite-sized projector that boasts a muted yellow and white color scheme. This model comes with all the connectivity options you need to use it anywhere. 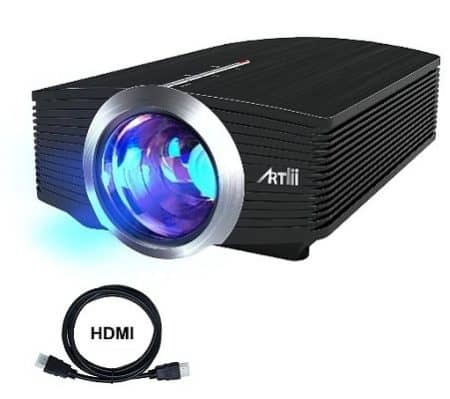 So, what makes this projector such a good deal? Let’s find out. This projector measures less than 5” wide, yet it’s capable of creating a display of up to 60”. The ideal screen size is about 55”, but considering a similarly sized TV would cost hundreds of dollars while this model costs under 50 USD, it provides pretty good value for money. Now, it’s not perfect. The Deeplee has a very low resolution (320×240) that makes it less than ideal for watching movies regularly. That said, it’s good enough for occasional use, or for catching up on TV shows while away from home. It can even connect to wireless devices when combined with an HDMI dongle, so it’s highly portable. The bulb on this model, while less powerful than some of its competitors, is still bright enough to allow for usage in semi-dark settings. 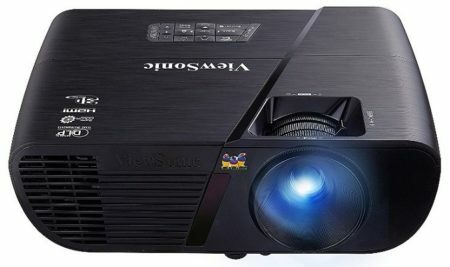 Ultimately, this projector is a compromise – sure, you don’t get the best possible picture quality, but it is extremely affordable. The XINDA 1736B is a little more expensive than the last model, but it offers far greater picture quality. For around 60 USD, you can experience 480p video with a display of up to 100” in size. It’ll downscale 1080p video too, so you don’t have to worry about certain files not playing. So let’s talk specifics. The lamp is rated at 1000 Lumens and is expected to last for about 20,000 hours so there’s no need to replace it anytime soon. Better still, this model comes with a remote control, USB, and SD card inputs, meaning it’s incredibly easy to add content you’d like to watch. This projector measures 7.5” wide, so while it’s larger than some, it’s still very portable. Throw in a wide range of file format support, manual keystone correction, and a three-year warranty, and it’s easy to see why this product is so popular. But is this model worth your money? We believe that this is one of the best sub-HD projectors around. It’s unlikely to become the focal point of your home theatre, but it’s definitely a good choice for infrequent use, or for watching content that doesn’t necessarily have to be in the highest possible detail. Lastly, in this category, we have the DBPower RD-810. 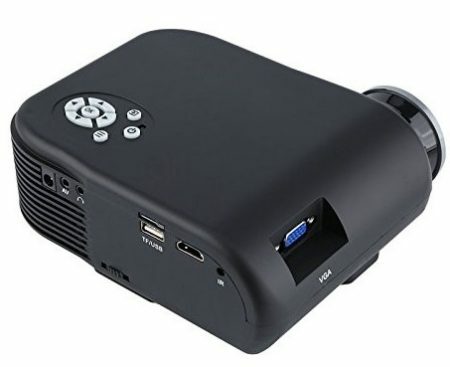 Like the XINDA, this is a 480p projector and, yet it costs roughly 10 USD more. It’s not as simple as that, though: this projector justifies its higher price with a series of improvements. Take a look and decide for yourself if it’ll suit your needs. First of all, this model can create images up to 150” in size. That’s a 33% improvement over the last projector we reviewed, so it’s definitely worth noting. That’s not all – the bulb is also stronger, producing 1200 Lumens instead of just 1000. This means higher throw distances and better daytime performance. The RD-810 comes with a remote control although, at most, it’ll be a few meters away. It’s a nice touch, but we can’t help but feel that the money spent on accessories could be better used to improve the picture quality. After all, paying around 80 USD for a projector when it isn’t HD is a bit of a stretch. That said, this model definitely improves upon many other 480p projectors. Sure, it’s not perfect but it could certainly be a lot worse. If you don’t mind standard definition content and want a really large display, this model is one of the best around. You’ve likely noticed a recurring theme with the budget projectors – they’re generally good but the picture quality could be better. Well, it turns out that if you spend a little more, you can greatly increase it. 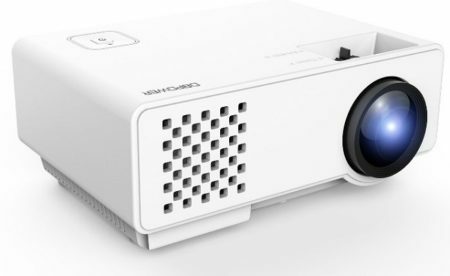 Take a look at the best mid-range projectors below and see for yourself. 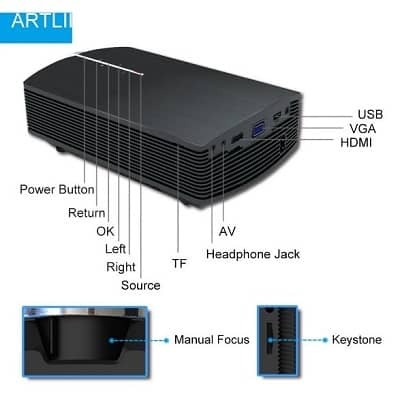 First up is the Artlii Home Video projector. This is a particularly interesting model because it offers just about everything you’d need from a projector while still being just 9” deep. What’s more, at less than 100 USD, it’s more than affordable. Okay, let’s talk video. You’ll be pleased to hear that this model can project HD images. It should be noted, though, that these are 720p, rather than Full HD 1080p. Still, with a display of up to 130”, this model allows you to replicate the cinema experience from the comfort of your own home. Not bad, right? But let’s say you don’t want to draw the shades in the middle of the day. No problem! Although your video will be a little harder to see, the 1600 Lumen bulb is more than capable of producing acceptable video in fairly bright settings. You can even connect your devices by USB for easier file access. All in all, this is one of the better portable projectors on the market. It’s nice and small but packs a large punch. As if that wasn’t enough, it even comes with a year’s warranty so if it breaks, you can have it replaced at no extra cost. Next up we have the Meyoung TC80. 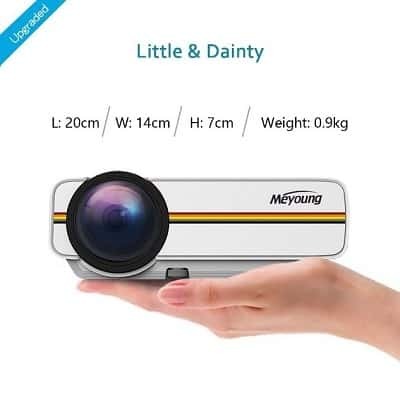 It features a retro-inspired striped design and an absolutely tiny frame that helps make it an exceptionally portable projector. Its 1200 Lumen bulb allows it to create 130” images too, so it truly is exceptional. Now, you might think it strange that a 480p projector has earned its spot in our mid-budget section, but there’s a reason for it. 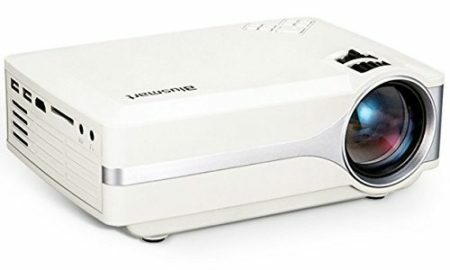 Simply, because this projector can create such large images while being less than 8” wide, its usefulness increases significantly, making its resolution issues easier to overlook. Connectivity is another of this model’s strengths. There are HDMI, USB, and SD inputs, so you can connect almost every device in your home if you’d like. If Bluetooth compatibility had been included, this would have come very close to being the perfect product, but for less than 95 USD, we can’t complain too much. We really liked that this projector has a switchable aspect ratio. All too often, you’re locked into watching content in widescreen, so this was a nice touch. If you’re a film aficionado but not too concerned about resolution, there’s a lot to like with the Meyoung TC80. The last of our mid-budget picks is the Erisan Bluetooth projector. This one is a little different – it’s a projector that also has Android 4.4 installed. So what does this mean for you? Well, quick and simple access to the Netflix, Amazon Video, and YouTube apps, for a start. We know what you’re thinking: “how can you run Android on a projector?”. 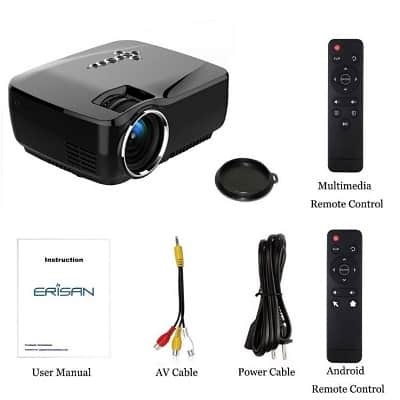 The Erisan comes with an Android remote so regardless of whether you’re projecting the interface or viewing via the 3” LCD screen, you’ll be in total control. Just be sure not to lose the remote! There’s a wealth of connectivity options with this model. WiFi, Bluetooth, USB, SD card, and HDMI are all accounted for. 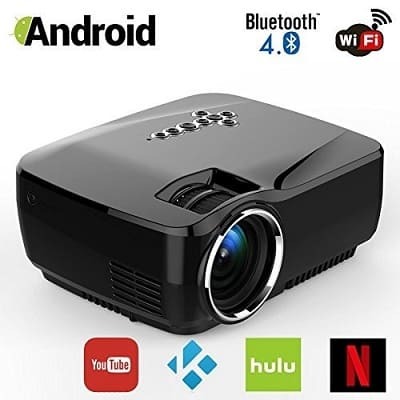 It has a maximum projection size of 120” and while its native resolution is 480p, this model boasts many more ways to access your favorite titles than most of the competition. This printer retails for around 120 USD. You’ll notice that is a little more expensive than most, but considering it’s essentially a tablet with a projection lens attached, that’s actually not bad at all. If it could project at 1080p, it’d be the ultimate portable media machine. Now, before we get into the premium products, there’s something you should know. These generally have more powerful hardware, which means they’re usually a bit larger than their less expensive counterparts. Nonetheless, the following products are still very portable, and we recommend them wholeheartedly. The first of our recommendations in this category is the iCODIS CB-400. 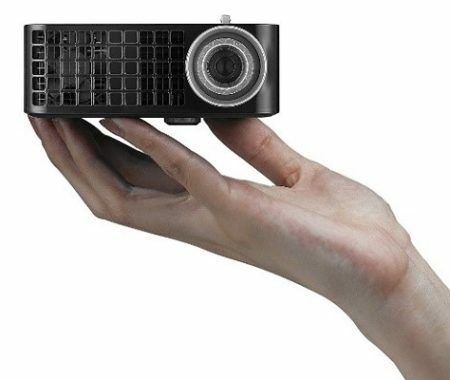 This really is something special: a 720p projector that can go as large as 200” thanks to its high-powered lamp. There’s more to this story, though, and we’ll continue it below. The CB-400 has a contrast ratio of 10,000:1. This means that its darks and lights are incredibly detailed, with faithful color representation. Of course, this relies on a suitable viewing environment, but at 3000 Lumens, this model will do alright with the lights on as well. Hold on, it gets even better. Despite its high-tech components, this model is still only 7” wide and 5” deep. It weighs a little over a pound, too, so it’s about as portable as they come. Considering how well it works and the good range of connectivity options included, its price of around 400 USD is well warranted. Like the last model, this projector runs Android and gives you access to a huge range of video applications. The best thing about it, however, is its built-in rechargeable battery. It lasts for several hours on a single charge and really expands the range of situations where this model can be used. If you’re looking for a powerful, portable projector, the Epson PowerLite 1751 has everything you’ll ever need. So what’s the catch? Well, it’s fairly expensive at around 650 USD. Despite this, we believe that the functionality it offers helps justify this higher price. 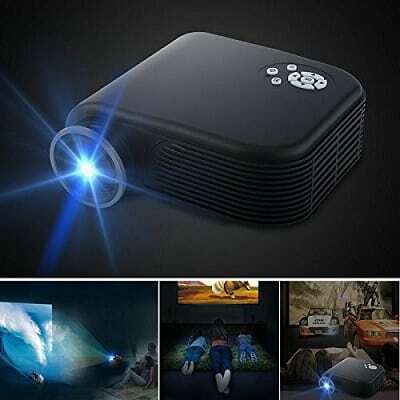 To begin with, this projector has a very powerful bulb. At 2600 Lumens, it’s more than capable of displaying a video in a semi-bright room. Better yet, there’s an eco-mode that allows you to dim the display in order to reduce the noise of the internal fan. This makes the PowerLite a great choice for presentations as well as home media. The PowerLite boasts an ultra-slimline design, measuring just 1.7” tall and 11.5” wide. Sure, it’s a little too large to just throw under your arm but it’ll fit inside a laptop case without any problems. Because it weighs just over three pounds, it isn’t prohibitively heavy either, which is great. Adding media is easy thanks to this model’s plug and play design. You can attach a USB stick or SD card and watch movies free from the tethers of your computer, plus it has its own internal battery. These factors make it an excellent choice for watching movies when camping, in a hotel, or even at home when your TV just isn’t big enough to do the movie justice. The last of our premium picks is the GooDee projector. This has a 3200 Lumen bulb, better than 720p resolution, and best of all, it costs less than 200 USD. 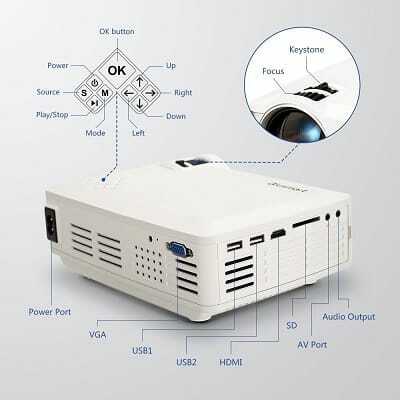 These factors combine to make it one of the most attractive portable projectors on the market. Hang on, though, there’s more. How would you like to watch your favorite movie on a 180” screen? With this model, that’s not a problem. Want to connect your older devices? Thanks to the AV and VGA inputs, you can do this and more. 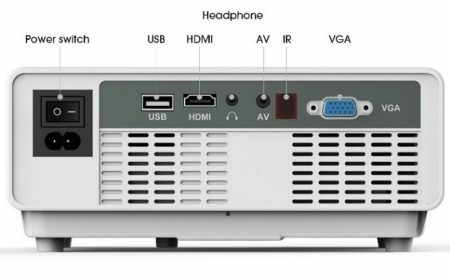 There’s even USB, HDMI, and SD card connectivity so your options are almost limitless. This model is 11” wide, 8.5” deep, and 3.9” tall. Its lamp is expected to live for 30,000 hours and it can play for four hours straight before it starts to get hot. Now, it does require a power outlet so it’s not ideal for use outside of the home, but its low size and weight mean that it’s still highly portable. There are two 5W speakers built-in but they’re a little weak. For best results you’ll want to connect a more powerful speaker system – even a set of computer speakers would be an improvement if we’re honest. However, audio isn’t the main priority here and we can’t really fault GooDee for this. 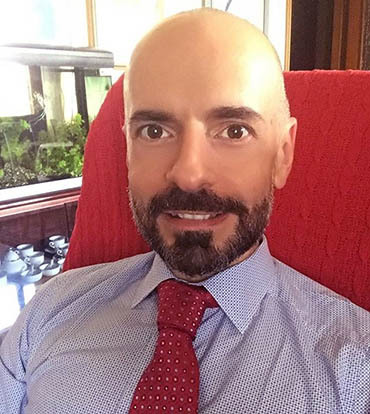 Let’s say for a second that you’re a sales rep. You have to give presentations to people at different locations but you’ve found that it can be a real pain. Well, worry no more – the following products are ideal for giving presentations and better yet, they’re small enough to throw in a rucksack. 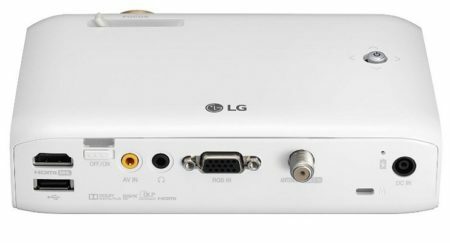 Take the LG PH550 Minibeam, for example. It costs around 400 USD and features an absolutely tiny frame – just 7” wide, 4.3” deep, and 1.7” tall. Believe it or not, this small product hides a whole range of advanced functionality that can help make your job easier. Say goodbye and good riddance to blurry projection. This model has a native resolution of 1280×720 so your images will appear crisp, your text legible, and your presentation memorable. So far, so good, but that’s not all that the Minibeam has to offer. There’s a rechargeable battery built-in. While its 2.5-hour life may be a little short for recreational use, that’s more than long enough for most presentations. Plus, with an expected bulb life of 20,000 hours, you don’t have to worry about it dying right as you’re about to close a sale. The Minibeam has Bluetooth functionality, too. This allows you to connect to an external speaker in case your presentation has sound. There’s even a digital TV tuner – while this isn’t relevant to presentations, it’s a rarely seen inclusion and one we felt worth mentioning. Moving down in price, we have the Blusmart LED-9400. 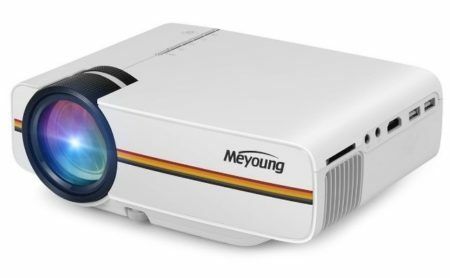 This is a classic white, compact projector that boasts the best all-around experience you can get for under 150 USD. It has everything you’ll ever need including HD images, good connectivity, and manual keystone correction. Not too bad, but it gets better. With most mini projectors, there’s a distinctive fan noise that appears after an hour or so of usage. Not so with this model; it has an advanced cooling system to keep that distracting whirr to a minimal level. This projector won’t just display your presentation, it’ll keep people focused on it too. If you’re planning to take this product from place to place, it’s inevitable that it’ll suffer a few bumps now and then. However, as you’re using it for work, you need to know you won’t be left empty handed when something goes wrong. That’s why it comes with a three-year warranty and lifetime customer support. Now, there are a few caveats. Firstly, this model has a maximum display size of 100”. This is adequate but a little on the small side. Second, there’s no internal battery so you will have to plug it into an outlet. To be fair, though, there’s bound to be a power source nearby if you’re in an office. Last but by no means least, let’s take a look at the Dell M115HD. 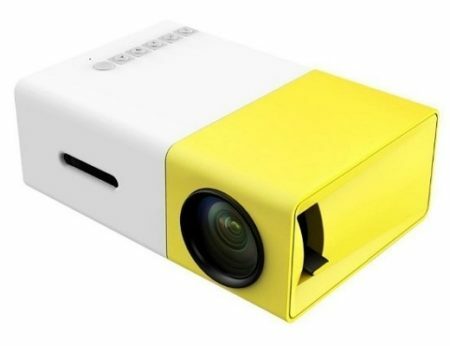 This is one of the most portable projectors around since it’s just 4.1” wide and deep. True, it has a smaller image size and less powerful bulb than some others but it’ll do just fine for presentations or light personal usage. What this model lacks in raw power, it makes up for in image quality. It has a native 1280×720 resolution and a contrast ratio of 10,000:1 to help highlight subtle differences in color. If your presentation concerns varying shades of color, this projector can really help emphasize this. Because of the USB ports, you can connect additional speakers if you find the built-in ones a little underwhelming. Unfortunately, there’s no WiFi or Bluetooth functionality but to be honest, this model does just fine even without this. So what are our final thoughts on the M115HD? All in all, it’s an excellent little projector. Its small size lends it to traveling, plus it packs enough punch to handle just about anything you can throw at it. The inclusion of an internal battery is fantastic, too, and really helps this product justify its somewhat higher price point. By far, the biggest impediment to using a projector instead of a TV is that they generally don’t work as well during the day. However, there are actually several models that are powerful enough to overcome this. Don’t take our word for it – check out the products below and see for yourself. We’ll begin by discussing the Viewsonic PJD5155. 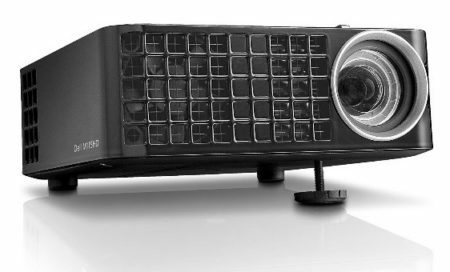 This is a nice, compact projector that has an exceptionally powerful 3300 Lumen bulb. This enables it to show images larger than 100” in size with excellent clarity. It’s 800×600 resolution isn’t incredible, but it’s good enough for general use. We were impressed by just how customizable this model is. It gives the user the ability to manually tweak the lens focus or zoom level, plus it includes the rarely seen RGB input, making it perfect for hooking up to your older hardware like VCR’s or retro games consoles. So what else is good? Unlike most models, the remote control that the PJD5155 comes with is actually good. It offers the ability to navigate the projector’s menus and adjust the image without having to leave your seat, but the real star of the show is the Eco mode that allows you to watch without being distracted by the fan noise. As a bonus, it increases the lifespan of your bulb! 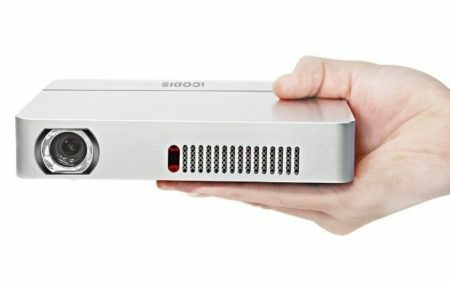 This is a projector that offers a high-quality viewing experience plus all the connectivity you could ever want for around 300 USD. Sure, it’s not HD, but it will exceed your expectations thanks to its versatility, ease of use, and of course, its ability to be taken wherever you want, whenever you want. 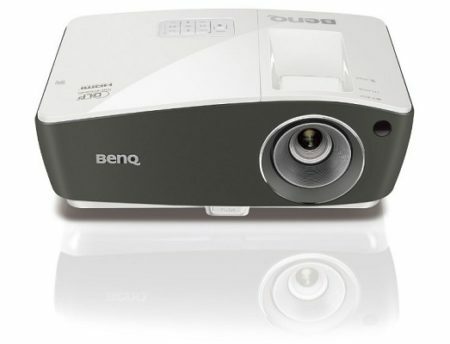 BenQ is known for their high-quality projectors and the TH670 shows that good things really can come in small packages. 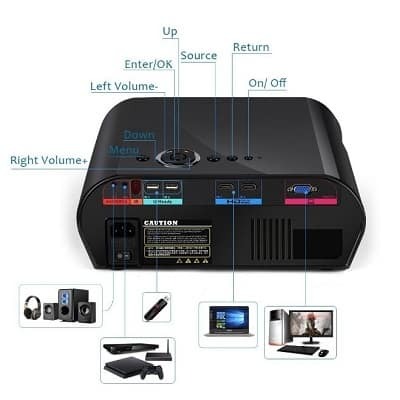 This is a 3D capable projector that costs a little under 500 USD, and the thing that really sets it apart from the rest is its full HD, 1080p projection abilities. The TH670’s 10,000:1 contrast ratio, quiet fan, and 200” output make it about as close to a cinema experience as you can get at home. To sweeten the deal, you can put movies onto a USB stick and watch them with minimal fuss. Because of its HDMI input, you could even use a Fire Stick or Chromecast – good, right? The lamp in this model is one of the most powerful we’ve seen and is capable of producing sharp, vibrant images even in relatively bright settings. For best results, you’ll want to draw the curtains but even if you don’t, your movies will still be watchable. Also, the bulb is rated for 10,000 hours of use so you’ll get your money’s worth. This product may be a little too expensive for some, but those that can afford it will find it to be an excellent addition to their home. It’s small, powerful, and best of all, portable, plus it comes with a year’s warranty coverage so you’re protected if something goes wrong. Well, we’ve come to the end of our list. 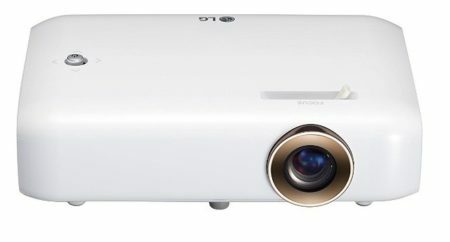 However, we’ve decided to finish up with a bang – the Optoma HD142X is another excellent projector. It’s small, sturdy, powerful, and unlike most of the others on the market, features two HDMI ports instead of just one. So what makes this model stand out from the crowd? Well, it has a 23,000:1 contrast ratio. That means that it has colors more than twice as vibrant as some of the others we’ve seen. That’s not all: it displays at 1080p and can even be used to watch 3D movies assuming you have the right glasses handy. The HD142X allows you to connect a mobile device and mirror its screen. This is particularly useful if you want to play games or show an audience how to do something on an external device. See, it’s not just about entertainment – this model has huge potential for education too.